I'm sure you all have good and probably some bad memories from Christmas. It is really one of my favorite times of the year. 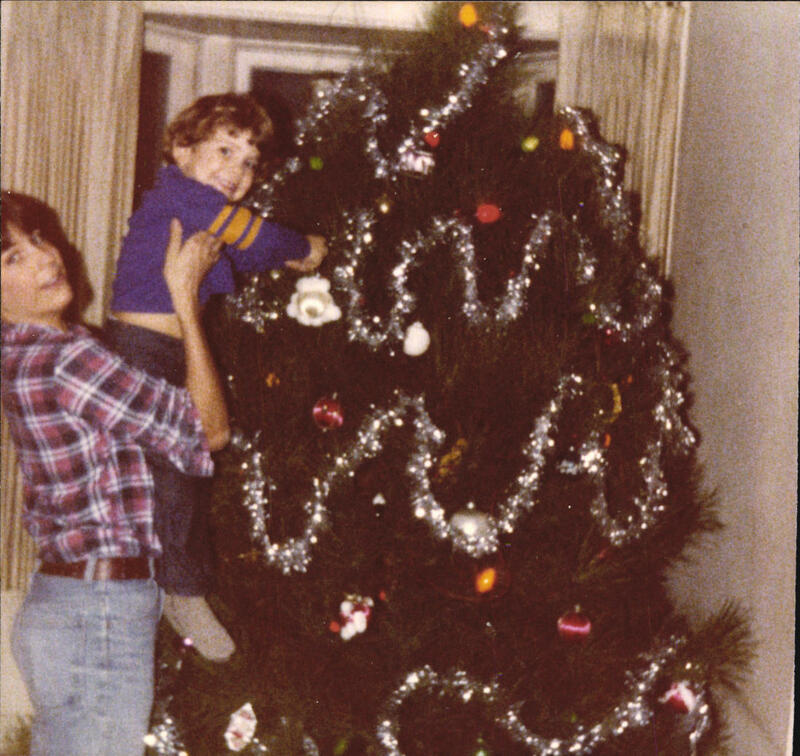 Because we're approaching the big day, I've assembled a series of my own memories. Going to pick out a Christmas tree with mom at the YMCA Y's Men (Get it?) lot on University Avenue a few years. Because we always had a sedan, it meant tying it on top of the ol' Chevy Impala or, worse, the Plymouth Volare'. Shopping for my siblings gifts at Kmart trying to get the biggest bang for my buck. Mostly what I got was cheap junk. But at least the good side of my heart was in it before I discovered it was junk. LOL. 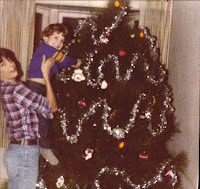 The first Christmas my brother Rob came home from college. Mom was so excited to pick him up from the airport and bring him into our house all decorated with Christmas decorations. When he walked in, the Christmas tree lay on the floor like a drunken bagpiper. It was the victim of a cat climbing. I thought Mom was going to cry. Oh, you can reassemble the tree, but it never really looks the same once it's fallen. The first Midnight Mass we attended with Rob's new girlfriend, Jane. When I got up from the initial kneeling and prayer, she goosed me! It was a shock to this good Catholic boy. She, Rob and I laughed under our breath so hard. It was when I knew he had a keeper! Of all Mom's Christmas LP's that we played on the stereo, Nat King Cole was (and still is) a favorite. It takes me back to the living room of Portland Avenue every time I hear it. With Donna's side of the family, we used to do a round-robin Christmas dinner. Dinner was at her mom's house, dessert was at her aunt's and drinks and presents at her Grandmother's. (Or some variation thereof.) I felt as loved by her family as I did my own. The tradition eventually fell away for some reason, but I still miss it. Working at the Montgomery Wards Catalog dock during the Christmas rush and dreading the week before when people would be lined up at the pickup counter taking home garbage bags full of Christmas toys. Working the same job at the return desk in the post Christmas crush of people returning or exchanging gifts. It was a return clerk's nightmare for a couple full weeks after Christmas. Watching our kids as well as our nieces and nephews decorate grandma and papa's Christmas tree and never putting an ornament above their reach. My mother in-law left the tree that way to remind her of her grandchildren. Sweet.